Quynh Truong-Johnson does both workers compensation and personal injury, but focuses her practice upon the representation of injured workers throughout the state of Georgia. Quynh was born in Vietnam, and moved to the United States when she was four. Quynh joined Cruz & Associates in 2013. 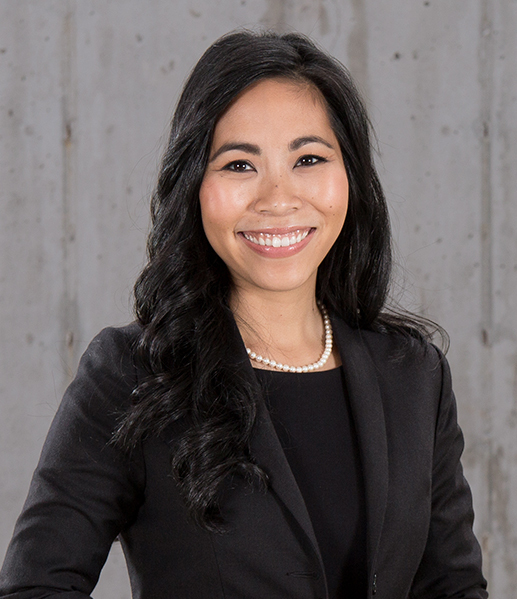 Prior to joining Cruz & Associates, Quynh clerked at an in-house Insurance Defense firm, based out of Atlanta, in addition to clerking at a Real Estate law firm. Quynh completed her undergraduate studies at the University of Georgia where she graduated with a Bachelor’s Degree in Womens Studies and Political Science. During her time at the University of Georgia, Quynh was a competing member on the Mock Trial Team, and also served as the President of the University of Georgia’s Vietnamese Students’ Association. She then went on to attend University of South Carolina School of Law and served as President of the Asian Pacific American Law Students Association. Quynh was also an active member of the Mock Trial Bar, in addition to serving on the University of South Carolina School of Law Leadership Advisory Board, being involved in Phi Delta Phi, and serving as a Peer Mentor. Quynh is currently a member of the State Bar of Georgia, Workers’ Compensation Section, the Atlanta Bar Association, the National Asian Pacific American Bar Association (NAPABA), and is on the Board of both the Vietnamese American Bar Association – Georgia (VABA-GA), and Georgia Asian Pacific American Bar Association Law Foundation. Further, she is currently serving as the President Elect of the Georgia Asian Pacific American Bar Association (GAPABA). She is bilingual, fluent in Vietnamese. Quynh currently lives in Atlanta with her husband, Eric, and their son, Everett.